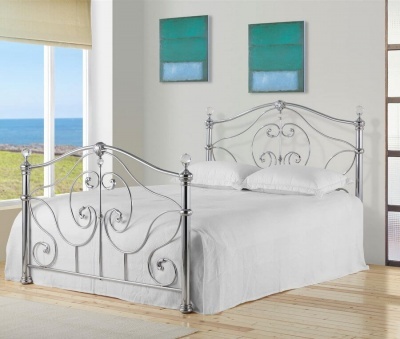 Fashionable grey painted sleigh bed with fully curved head and foot panel. Fits a standard UK king-size mattress. Solid wood sides. Wooden slatted base. Delivered flat packed for self assembly. Full instructions included.